So, so. Castlemaine (Caisleán na Mainge - Burg an der Maine) ist also die Geburtsstadt des halb-legendäre Freiheitskämpfer/Räuber namens Jack Duggan oder Jack Donoghoe (je nach Quelle), genannt The Wild Colonial Boy (der wilde Kolonialbub). Sonst ist hier nichts passiert? So, so. 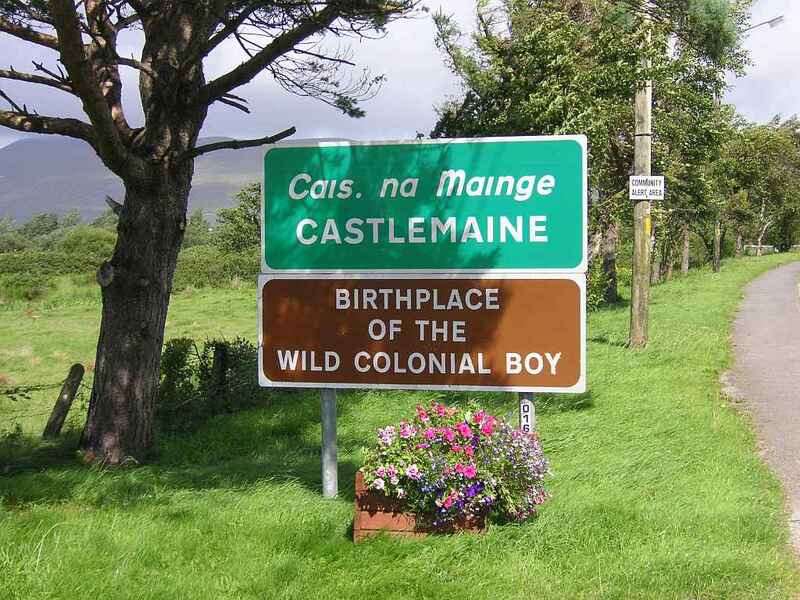 Castlemaine (Caisleán na Mainge - castle on the Maine River) is the birthplace of the half-legendary freedom fighter/robber named Jack Duggan or Jack Donoghoe (depending on the source), called The Wild Colonial Boy. Did not anything else happen here?